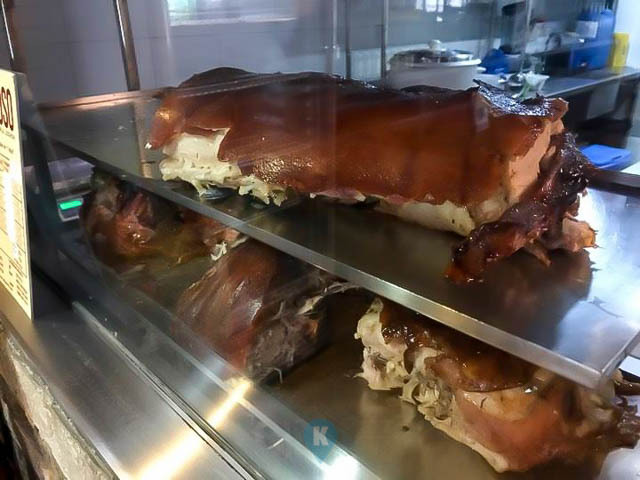 Sabroso Lechon in Macapagal exudes legacy. When you see antique photos and items in the store gives you an impression that they have been in business for a long time already. 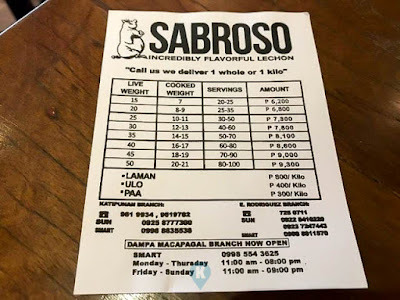 That means their lechon had stood a test in time and that they continue to capture the taste of the Filipinos when lechon is concerned. Looking up at their menu, you can see they offer more than just lechon. 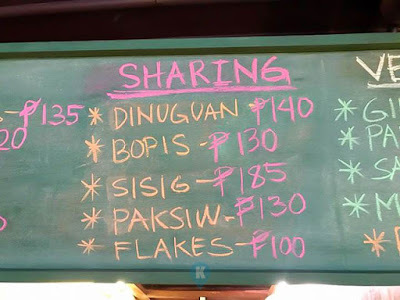 We can see their sharing dishes such as Dinuguan, Bopis, and Sisig. Lechon variants such as Paksiw and Flakes also are being offered. 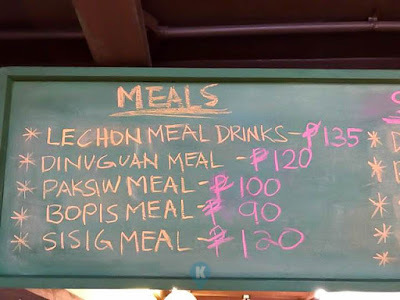 As per this writing, we ordered the Lechon Meal. 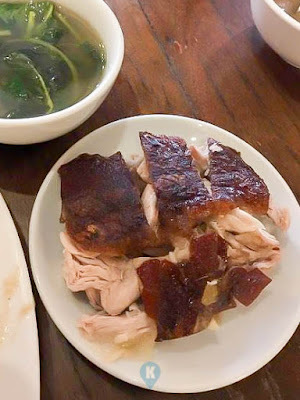 The lechon deserved praise as it was tasty and that the skin was crackling. 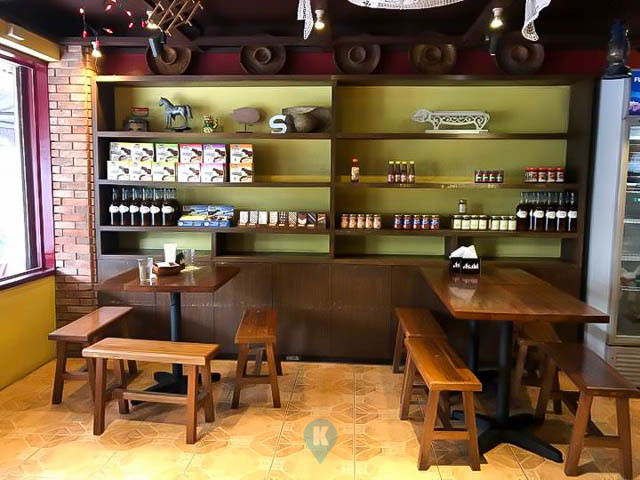 As far as the dining area is concerned, it was clean and that includes the lavatory. 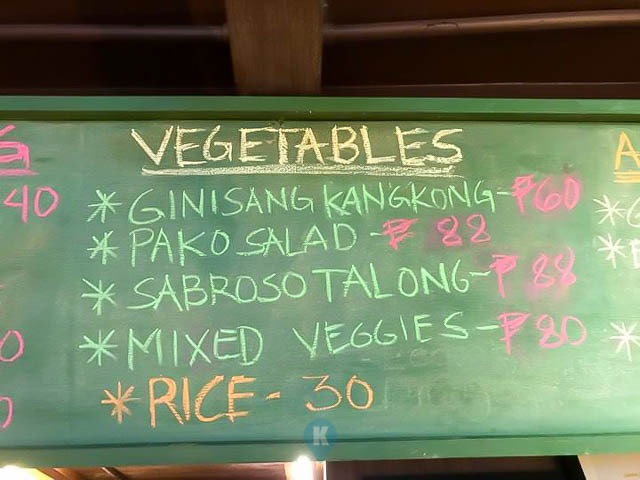 Service was fast and staff were courteous. 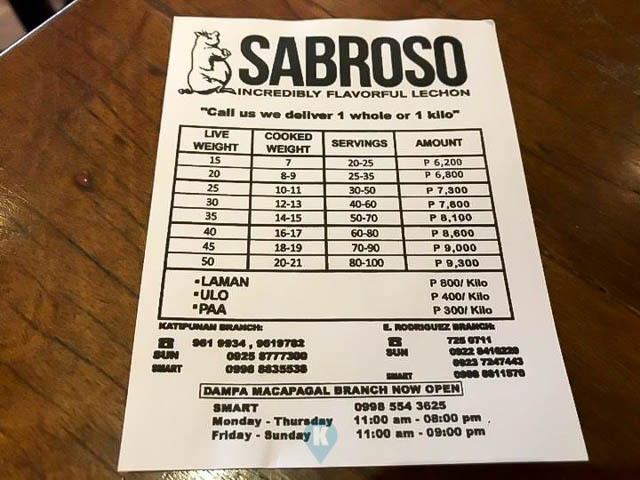 Dining experience was great and we will surely go back to this place in the near future. 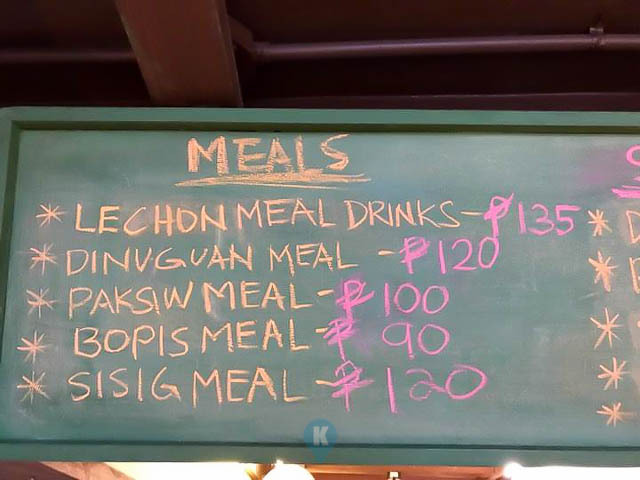 They have other branches in E. Rodriguez and Katipunan as well. For more details, you may visit them at their facebook page here.